Review by paul5555 on 11/5/2012. Review by soylentgreeen202 on 1/5/2013. Review by armytad on 5/8/2013. Review by Zergg22 on 1/8/2013. awesome small map. one of the best maps ive played!! Great map - well laid out for a quick and bloody battle. Review by Wodanson on 5/29/2014. nearly perfect short-time map. as said, good for really bloody battles on low reinf.-level. my proposal to creator: cut connection between Mesolongion and Levkas for more fair chances for Ionia Nissia as well as for Ditiki Ellada. Review by Jazz on 11/21/2014. Review by G_GR on 12/17/2014. Review by pedrobull12 on 11/18/2015. Review by Gungnir on 12/22/2015. Review by Baraben on 12/16/2016. Review by Seleukos on 4/18/2017. 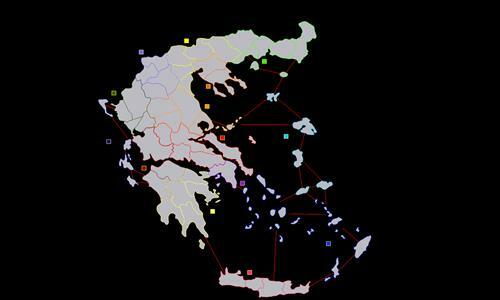 Starting out in Athens may give one player a slight edge, but otherwise it's a very fun map for quick 1v1 games. Review by Saladin on 11/8/2017. Review by Josh on 12/18/2017. Review by 111 on 9/8/2018. Review by RaidenWins on 12/31/2018. Map is okay, I clicked to rate the community scenario which was lame (France invasion). But I like the smaller map for shorter games. Review by Cobretan on 2/3/2019. to easy, why do we begin we so much army ? Review by Emperor Xarlon on 12/8/2013. Review by megabassy12 on 12/28/2012. Review by Alberto ConJuges Tumakero on 4/15/2013. Review by Peter on 9/14/2014.